What are Painkillers and Painkiller Addiction? Painkillers are analgesics or groups of drugs and medications that are intended to reduce or ease pain. Painkillers can range in function and have specific purposes, such as treatment for migraine pain for example, or for the purpose of treating general pain symptoms. Unfortunately, it is easy to develop a painkiller addiction. Painkillers can be categorized by the manner in which they are obtained: Over the counter (OTC) painkillers – medications that can be purchased by the consumer without the need of a prescription, and prescription painkillers – those that require a prescription from a medical professional for legal purchase. Painkillers can also be classified according to their chemical type. Non-steroidal anti-inflammatory drugs: Provides fever reducing and anti-inflammatory effects. Examples include Aspirin, Ibuprofen, and Naproxen. Opiates: Psychoactive chemicals that function by decreasing reaction to pain, the perception of pain, as well as increase pain tolerance. Examples include Methadone, Oxycodone, Morphine, Codeine, and Hydrocodone. Combinations: There are painkillers that are used in combination to provide pain relief through multiple sites of action. 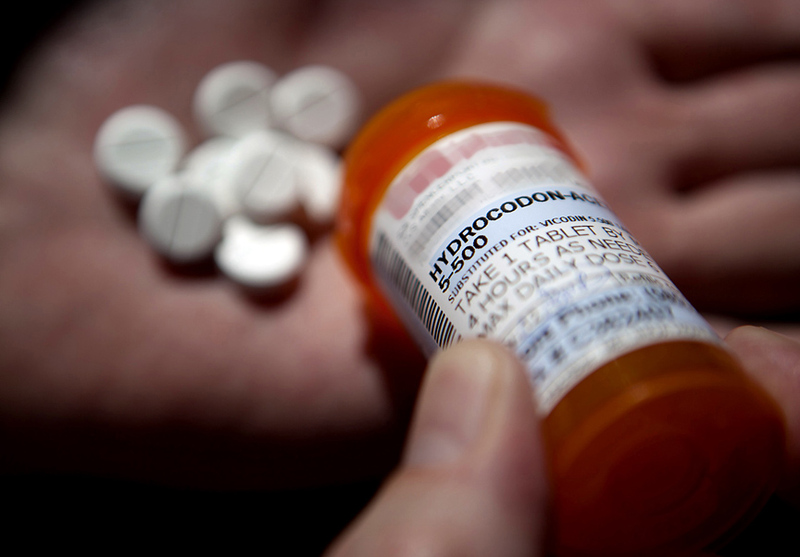 Examples include Percocet and Vicodin, which are a combination of opiates and acetaminophens. Painkillers are available in a variety of forms, including gel capsules, tablets, liquids, topical gels, and injections. They can be utilized to offer pain relief for a variety of ailments, including management of terminal diseases, surgeries, arthritis, sprains, strains, and other painful conditions. When painkillers are used correctly, they can improve the quality of life for someone who suffers from chronic pain. Because painkillers are easily accessible over the counter or through wide prescription use, they are often abused or used for other reasons besides the intended medical application. When painkillers are used recreationally or beyond their intended scope, a painkiller addiction typically develops. This can be debilitating to any man or woman trapped in the cycle of addiction, and dependency to painkillers can negatively impact the many areas of an individual’s life. If you or a loved one is suffering from an addiction to painkillers, it is important to enlist the help of loved ones, professionals, and a painkiller addiction center to find freedom from the substance abuse. An addiction to painkillers is a destructive habit that can result in numerous consequences that can gravely impact one’s life. If you or a loved one is struggling with a painkiller addiction, consider taking the first step towards overcoming this is by recognizing the problem of your addiction and admitting your need for help. Obtaining professional help is necessary to appropriately dealing with the complications that may have resulted from painkillers use, so search for an accredited pain killers addiction treatment center. Suffering from an addiction to painkillers can be overwhelming and an isolating experience, but it is important to remember that you do not have to be alone. Having the help of a professional treatment team, interventionist, or rehab program can allow for the best care and treatment, and ultimately, give you the tools you need to overcome this addiction. The misuse of painkillers represents three-fourths of the overall problem of prescription drug abuse, with approximately 2.5 million Americans abusing prescription painkillers for the first time in 2007 alone . Emergency room visits related to painkiller use rose 153% from 1995 to 2002, while admissions to drug treatment programs for individuals using painkillers rose 321% from 1995 to 2005 . Deaths related to painkiller abuse rose 160% from 1994 to 2004 . Young adults, age 18 to 25, show the most painkiller use and the greatest increases in abuse . The United States is the world’s largest consumer of painkillers, using 71% of the world’s oxycodone and 99% of the world’s hydrocodone or Vicodin . Painkiller abusers get their drugs from friends or family members. Only about 4% get painkillers from illegal dealers or strangers, and about .1% obtain painkillers from the Internet . The most commonly abused drug (other than alcohol) in the United States by individuals over the age of 12 is Marijuana, followed by prescription painkillers, cocaine, and hallucinogens . An addiction to painkillers can develop for a variety of reasons, depending on the individual. The use of painkillers may begin with a simple prescription, intended to manage or reduce pain. However, if a person taking painkillers becomes dependent on the drug, either physically or psychologically, or if a tolerance is built towards the drug, an addiction will slowly begin to progress. After prolonged use of consuming painkillers, a man or woman may feel that the drug is necessary for them to function in daily life, creating dependency on the drug. Even if physical pain has been resolved, an individual may continue taking their painkillers for fear of pain returning without them, creating a psychological need for persistent use. There are also major underlying causes of painkiller abuse that are related to biological, psychological, and social factors. A person can be more likely to develop an addiction to painkillers in they have a genetic predisposition or family history of substance abuse. Painkiller addiction can also develop as a result of psychological trauma, such as a history of abuse, depression, or anxiety. Social reasons that can be associated with an addiction to painkillers include exposure to the drugs or pressure from peer groups, family or friends. An addiction to painkillers can also be co-occurring with abuse of other substances, alcohol, mood disorders and eating disorders. The addiction nature is influenced by several factors, and it is likely that painkillers abusers may struggle with another form of addiction. Painkillers may be used in an attempt to escape from uncomfortable feelings, pain, or realities of living. An addiction to painkillers will be evident by certain signs and symptoms. While these symptoms can be specific depending on the type of painkiller abused, there are general signs of which to be aware. Mood swings or behavior changes, such as frequent expression of hostility, anger, anxiety, or agitation. If you or a loved one is experiencing any of these signs or symptoms as a result of an addition to painkillers, please seek the counsel of a health professional, as the addiction can quickly spiral out of control. Addiction to painkillers can result in several consequences on the abuser, both in the short and long term. These consequences can impact a man or woman physically, psychologically/mentally, and socially. While painkillers can be taken safely when used as indicated or prescribed, they can cause tolerance and dependence, even with short term use. Withdrawal will occur when the body detoxifies from a painkiller drug, and the symptoms that can accompany withdrawal are both physically and psychologically challenging. Physical withdrawal symptoms can last from 48-72 hours or as long as 30-60 days, depending on the quantity, frequency, type, and extent of time painkillers have been used. These symptoms result as the body attempts to recuperate from the interference of painkillers within its systems and the dysfunction the drug(s) may have caused. A medical professional or painkiller treatment center can offer the most effective help for anyone who has become dependent on painkillers and is attempting to withdraw from the drug. Because several complications can arise as one attempts to withdraw from a painkiller, it is recommended that the detoxification process takes place under the supervision of a professional or painkiller rehabilitation center. Having the support of a rehabilitation center and treatment team can create long-term success for recovery, minimize withdrawal effects, and help establish relapse prevention. : Foundation for a Drug-Free World. “Prescription Painkiller Abuse”. http://www.drugfreeworld.org Accessed 12 March 2013.
: Substance abuse and mental health services administration. http://store.samhsa.gov/home Accessed 12 March 2013. Emergency Departments are often frequented by drug addicts for addiction related problems or by drug seekers. Painkillers and narcotics are among the drugs that are commonly sought by drug addicts. Learn more about why drug addicts may seek care in the Emergency Department and what researchers understand about this behavior.